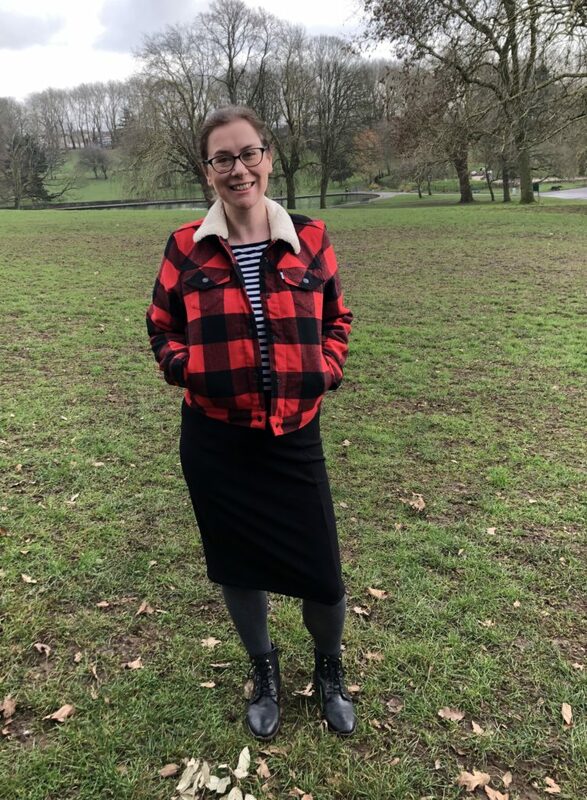 This is the super-simple skirt pattern that is in the Tilly and The Buttons Stretch! book. I made this last year, pretty much as soon as the book came out. It is a really quick and simple pattern to sew: it only has two pattern pieces! The skirt piece is cut out four times to make the front, back and sides of the skirt, and the waistband is cut out four times – two for the outer waistband one two for the inner one. 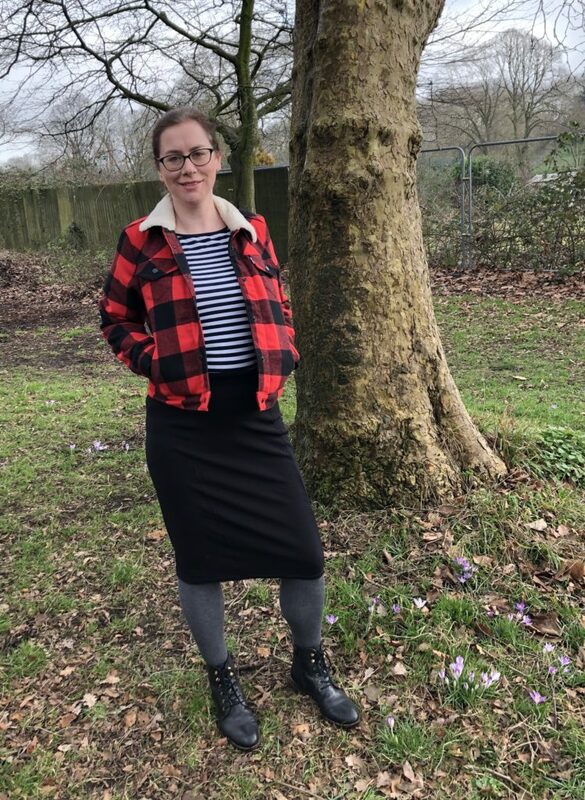 I have also made this skirt as the the pinafore option from stretch velvet (! ), but not yet photographed it. The fabric I used for this particular version is some sort of textured stretch crepe that I picked up from Fabricland in Bristol. I chose it because it had shimmery gold in it, however that nearly all washed off when I did my pre wash! There is still a little left, if you look really closely, but with each wash more is lost. That was pretty disappointing. The skirt is very comfortable to wear and I didn’t make any changes to the fit. The only tweak I did make was to twin needle stitch along the seams of the skirt to make them stronger and look more finished. Bibi is simple and comfy to wear! I will definitely make more Bibi skirts as its such an easy and satisfying pattern to make. Photos taken on a very grey day in January in St George Park, Bristol.